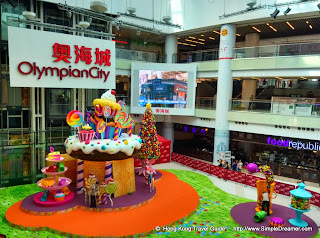 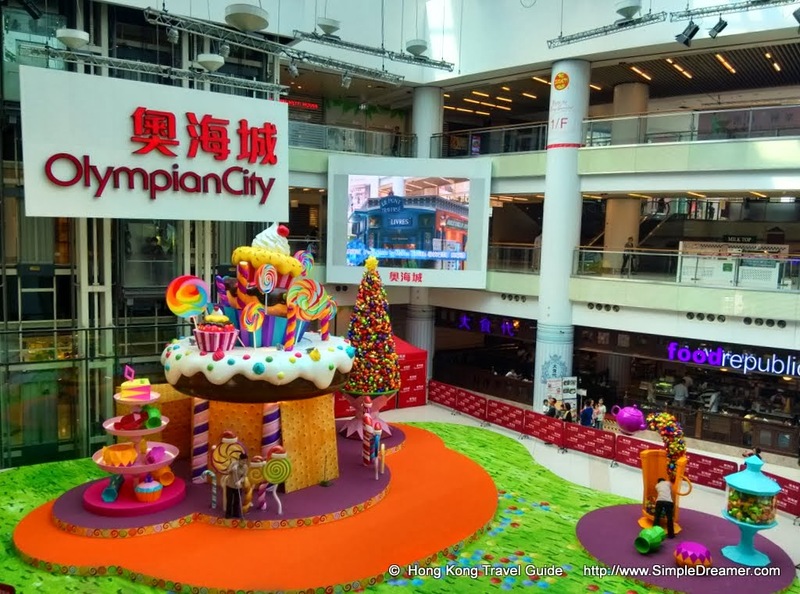 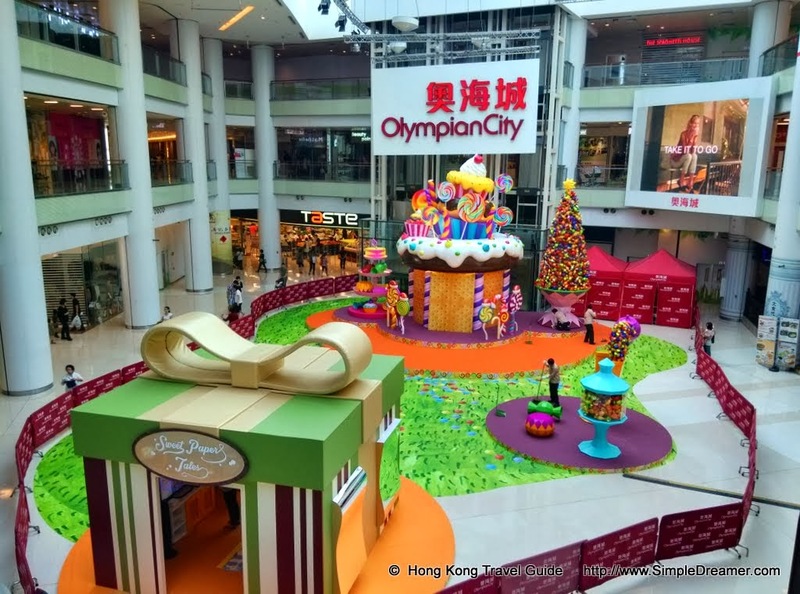 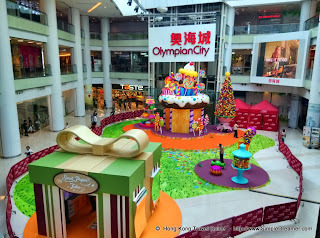 Made of plastics and wood pieces that cannot be consumed by the mouth, these huge colourful displays has lighten up both indoor and outdoor area of the Olympian City at Tai Kok Tsui in Kowloon. 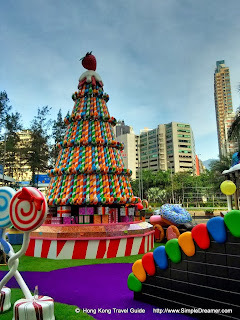 This event Sweet Paper Tales 《糖。紙。甜蜜聖誕》 offer more than just Candy Christmas Trees! 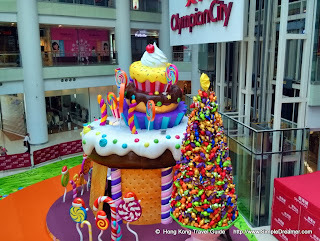 There are also huge cupcake, candy vending machine and a giant box of chocolate. 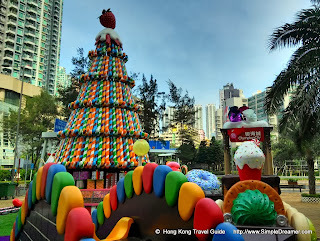 At the outdoor Candy Wonderland, footbridge and train made of desserts can be found! 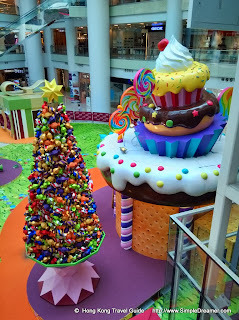 Go and checkout these colourful and sweet Christmas displays for yourself!